Douglas Sullivan is a senior counsel in the San Francisco office of Crowell & Moring and is a member of the firm's Litigation Group. He has a broad complex commercial litigation practice in connection with mergers and acquisitions, intellectual property, class actions, commercial contract disputes, corporate governance disputes, and construction, real estate, and environmental matters. Mr. Sullivan has significant trial experience in state and federal courts, having acted as lead counsel in approximately 15 trials. For four years in a row he was named to BTI Consulting Group's list of "Client Service All-Stars," an annual list comprised of feedback from corporate counsel which recognizes attorneys who deliver the highest levels of excellent client service. Prior to joining Crowell & Moring, Mr. Sullivan was a partner with the San Francisco firm of Folger Levin & Kahn LLP. Represented companies in the automotive, telecommunications, computer, wood products, and healthcare industries in connection with disputes from mergers and acquisitions, including: Dana Holding Corporation v. Metalsa (ICC Arbitration) in which we successfully represented Dana in disputes over purchase price adjustments and indemnity claims following the sale of Dana's structural products division, recovering millions of dollars for Dana and defeating claims of Metalsa; NorthPoint Communications Group, Inc. v. Verizon Communications, Inc. (San Francisco County Superior Court), in which the client recovered $175 million as part of a settlement; Coram Healthcare Corp. v. Caremark Int'l (San Francisco County Superior Court), in which the client recovered $165 million of the $310 million purchase price; HDX Corporation v. Zonare Medical Systems, Inc., et al. (AAA International Arbitration) in which we successfully represented Zonare and its former officers in disputes related to international distribution agreements for ultrasound equipment following the sale of Zonare. Represented companies in connection with intellectual property disputes, including: GigOptix, Inc. v. Optomai, Inc., et al. (Santa Clara County Superior Court) in which we obtained a successful settlement for GigOptix against former employees and their companies for misappropriating GigOptix's trade secrets for semiconductor products; Advanced Fibre Communications, Inc. v. Calix Networks, Inc. (District Court, Travis County, Texas), in which we obtained a defense verdict for Calix following a court trial in connection with alleged misappropriation of trade secrets by former employees; Alcatel v. Calix Networks, Inc. (Sonoma County Superior Court), in which Calix successfully defended against claims that approximately 40 former Alcatel employees misappropriated trade secrets in developing a competing telecommunications product; Phase Metrics v. Magnetic Recording Solutions, Inc. (U.S. District Court, N.D. Cal. ), in which the client, Phase Metrics, obtained a two year injunction for copyright infringement and misappropriation of trade secrets, preventing former employees and their new company from competing against Phase Metrics; Liquid Environmental Solutions of Texas v. U.S. Oil Recovery (Harris County, Texas), in which the client successfully pursued claims of misappropriation of trade secrets and breach of confidentiality agreements against former employees and their new company; Sarkissian Mason v. Enterprise Holdings, Inc. (U.S. District Court, S.D.N.Y.) in which we obtained summary judgment in favor of Enterprise against claims of misappropriation of confidential and trade secret information, which was upheld following an appeal to the Second Circuit Court of Appeals. Doug has handled dozens of cases involving alleged trade secret misappropriation in industries such as trucking, financial services, wood products, medical device, and computer-aided design. Represented companies, executives, and directors of public and private companies and limited liability companies in corporate governance disputes, including claims for breaches of fiduciary duty and duties of loyalty, principally in Delaware, California, and New York. The representation has also included law firms and their executive managers for alleged breaches of fiduciary duty, including a two month trial in Hirsch Wallerstein, et al. v. Jackoway, Tyerman (Los Angeles County Superior Court), in which we obtained a decision in favor of entertainment lawyers who were sued by their former partners for more than $15 million following their decision to leave the firm. Also represented the University of California in breach of fiduciary duty claims against former directors and managers, as well as against the University of Southern California, stemming from the takeover of a prominent Alzheimer’s program and associated grants. Represented Dana Holding Corp. in an action brought by Ford Motor Company (Circuit Court, Wayne County, MI) in which Ford sought hundreds of millions of dollars for a recall of vehicles and in which we achieved a successful settlement for the client. Represented numerous companies (including AT&T, United Airlines, Prudential Financial, Louisiana-Pacific Corporation, The Deutsch Company and others) in connection with complex, high-profile environmental matters. The representation has included pursuing and defending actions under the Comprehensive Environmental Response, Compensation and Liability Act (CERCLA), the Resource Conservation and Recovery Act (RCRA), the Clean Water Act (CWA), analogous and related state laws, and common law nuisance and trespass claims, among others. The representation has involved both governmental litigation and third-party tort litigation, including: Ecological Rights Foundation v. Pacific Bell Telephone (U.S. District Court, N.D. Cal.) in which we successfully moved to dismiss CWA and RCRA claims related to Pacific Bell's maintenance and disposal of wooden utility poles, and then prevailed on an appeal to the Ninth Circuit Court of Appeals; Forest City v. Prudential Insurance Co. of America (Los Angeles County Superior Court), in which the client, Prudential, obtained a jury verdict following a three-month trial of claims brought by Forest City in excess of $50 million for a failed real estate development stemming from environmental contamination. The representation has also included defending companies in connection with personal injury and property damage claims by residents and homeowners stemming from environmental contamination. Represented companies in complex class actions, including Withrow, et al. v. Enterprise Holdings, Inc. (Cir. Court, St. Louis, MO) in which we successfully resolved a nationwide class action related to Enterprises' car sales practices; Cisneros, et al. v. Yahoo! (San Francisco Superior Court) in which we obtained a defense verdict following a trial in which it was alleged that Yahoo! aided and abetted internet gambling; Lemieux, et al. v. AT&T Corp. (U.S. District Court, S.D. Cal) in which we successfully obtained the dismissal of an action in which AT&T was alleged to have violated the Telephone Consumer Protection Act in processing collect calls; Collins, et al. v. General Electric (U.S. District Court, N.D. Cal.) in which we successfully obtained the dismissal of General Electric which was alleged to have misrepresented the energy consumption of its freezers. Represented companies (including Prudential Financial and KB Home) in real estate, construction and engineering disputes, including in connection with commercial complexes, office buildings, power plants, manufacturing facilities, housing developments, and hotels. Member, American Bar Association, Sections on Litigation, Natural Resources and Environment and Intellectual Property. Member, American Arbitration Association National Roster of Neutrals, 1985-2015; Mediator, San Francisco Superior Court, Early Settlement Program. "The Defend Trade Secrets Act of 2016: How Will it Change Trade Secret Litigation?" The California State Bar Litigation Section, San Francisco, CA (June 22, 2016). Presenter: Douglas W. Sullivan. "How Would Your CEO Do on the Stand?" 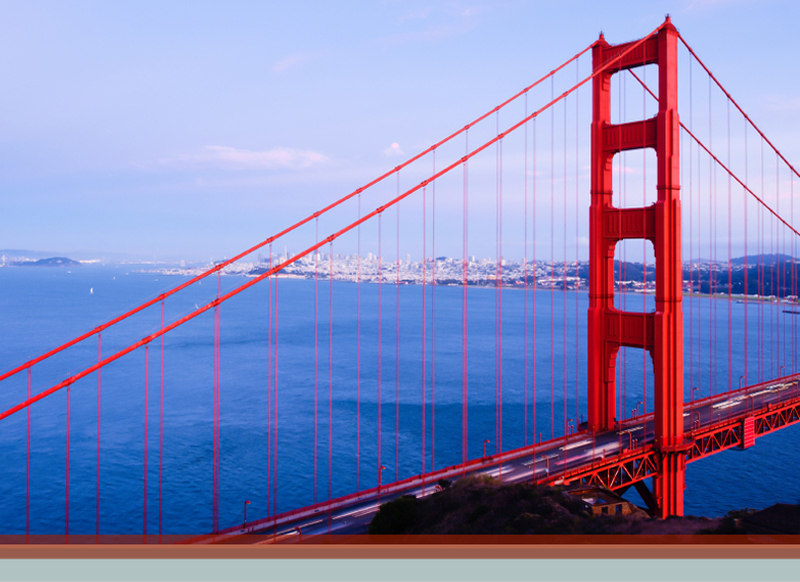 ACC CLE Program, Palo Alto and San Francisco, CA (April 28-29, 2015). Presenter: Douglas W. Sullivan. "Guide to Value-Based Billing: Improve Results and Reduce Outside Counsel Costs," Association of Corporate Counsel, SF Bay Chapter (March 2011). Lecturer: Douglas W. Sullivan. "New Traps for the Unwary: What Employers Need to Know About Whistleblower Protection in the Dodd-Frank Wall Street Reform and Consumer Protection Act," Silicon Valley Association of General Counsel (December 2010). Presenter: Alyssa S. Parsons and Douglas W. Sullivan. "Goals, Strategies and Tactics: Litigation Project Management that Works for Everyone," Association of Corporate Counsel, SF Bay Chapter (November 2010). Speakers: Douglas W. Sullivan and Gregory D. Call. "The Corporate Plaintiff," Bay Area General Counsels (May 2008). Lecturer: Douglas W. Sullivan. "Expert Litigation Services," Counselors of Real Estate (October 2007). Lecturer: Douglas W. Sullivan. "Engineering Professional Responsibility," Stanford University Civil Engineering Department (1996-1999, 2005-2006). Lecturer: Douglas W. Sullivan. "Non-Cash Class Action Settlements," San Francisco Recorder: Litigation Quarterly (November 2010). Co-Authors: Gregory D. Call, Douglas W. Sullivan and Trina D. McAlister. "Going on Offense - Tips on Successfully Representing Corporate Plaintiffs," San Francisco Recorder (November 2008). Co-Author: Douglas W. Sullivan. "Techniques of Alternative Dispute Resolution," Contractor's Handbook of Business and Law (1992). Author: Douglas W. Sullivan. May.19.2015 Chambers USA Ranks 53 Crowell & Moring Attorneys and 20 Leading Practice Areas Among Best in U.S.
May.23.2014 Chambers USA Ranks 51 Crowell & Moring Attorneys and 19 Leading Practice Areas Among Best in U.S.
Feb.25.2014 Crowell & Moring's Kathy Kirmayer, Doug Sullivan, and Mike Kahn Recognized Among "2014 BTI Client Service All-Stars" by BTI Consulting Group Inc.
May.24.2013 Chambers USA Ranks 45 Crowell & Moring Attorneys and 19 Leading Practice Areas Among Best in U.S.
Mar.06.2013 Crowell & Moring's Kathy Kirmayer and Doug Sullivan Recognized Among "2013 BTI Client Service All-Stars" by BTI Consulting Group Inc.